Heat oven to 350°F. Place paper baking cup in each of 16 regular-size muffin cups. Break bar into 16 smaller bars for cookies. 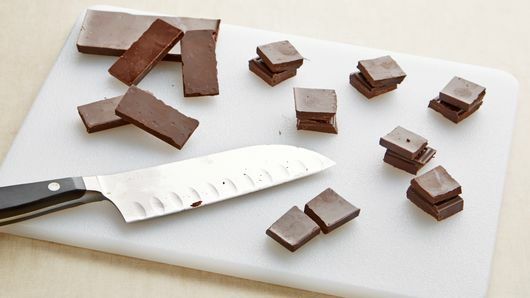 Cut each small bar of chocolate in half. 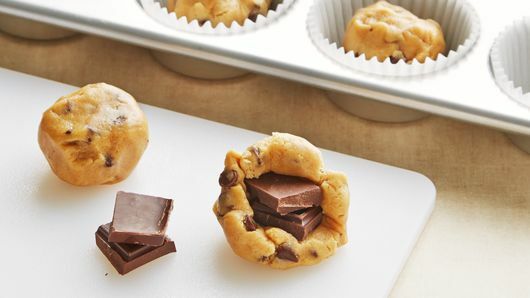 For each cookie, shape heaping tablespoon of dough around 2 halved pieces of chocolate; place in cup. Bake 16 to 18 minutes or until golden brown; cookies will be soft to touch in center. Cool in pan 5 minutes. Remove from pan to cooling rack; cool 15 minutes. (Centers of cookies will sink slightly.) Serve warm. As the cookies cool, the chocolate centers will firm up. 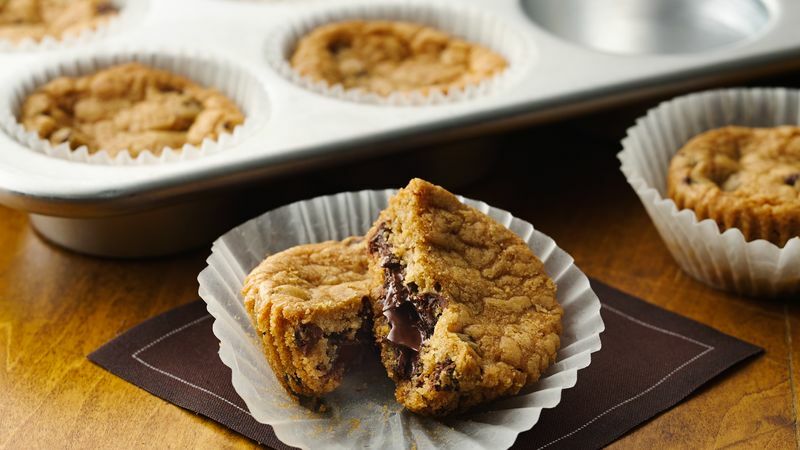 You can put the cookies on a plate in the microwave on Low (10%) for a few seconds to make them molten again. Keep dough well chilled, or it will be sticky to work with. Sprinkle your hands lightly with flour, if needed.